First, the solar inverter has a common type, DC or AC are more suitable for the normal type, the main power is 75W to 5000W. 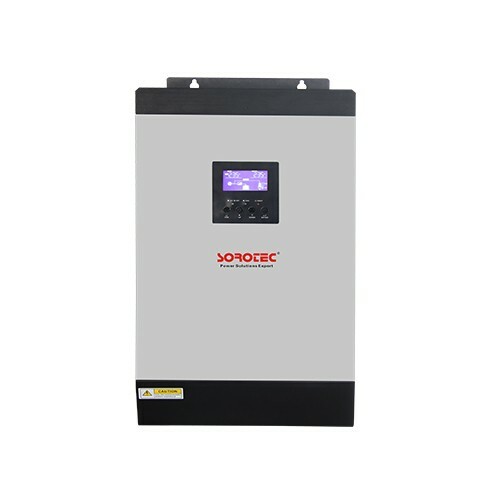 Secondly it is inverse charging of various machine, this type of inverter can be combined in a variety of power supply, such as commonly used in our battery or solar panels of these, the user can through a variety of ways to carry out the power supply, AC or DC power can be through the use of off grid solar inverters. 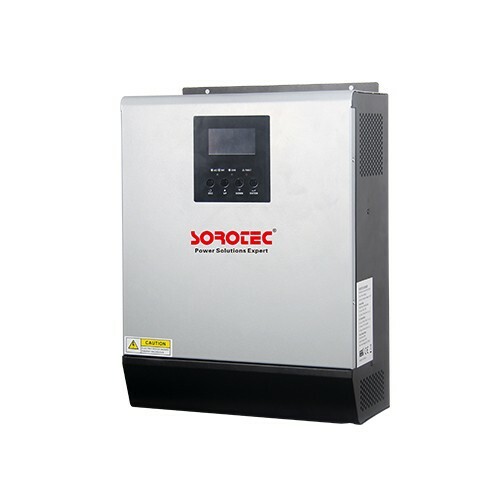 And Telecommunications dedicated inverter, this solar off grid inverters as the name suggests, mainly for post and telecommunications services specialized in the use and quality is also in line with the provisions of good quality, reliability, and also has expanded and residual function, power is endless also do not have to waste. If we always use our coal resources or other chemical resources for power generation, then the limited resources of the world total day resources will be exhausted, our survival environment will burst, then I when the time comes, we the how to do? And when the time comes do not know how to do, also is better from now on we save resources and develop new sources of energy, such as our biggest and most of the sunlight, the scientific test is can use off grid solar inverters to convert sunlight into power resources, below we together to have a look at what is the advantage of the solar inverter. Solar off grid inverter mainly has the following functions, first of all can be in circulation, the DC or AC to test out, so that our analysis, still can have a tracking and test solar battery function, and secondly, can will every day we receive the sun light is collected and the radiation intensity to gradually strengthen, these can will the output efficiency of the solar battery to increase, also can be the generator of tracking and regulation, according to the battery temperature and strength to determine whether to proceed with the collection. 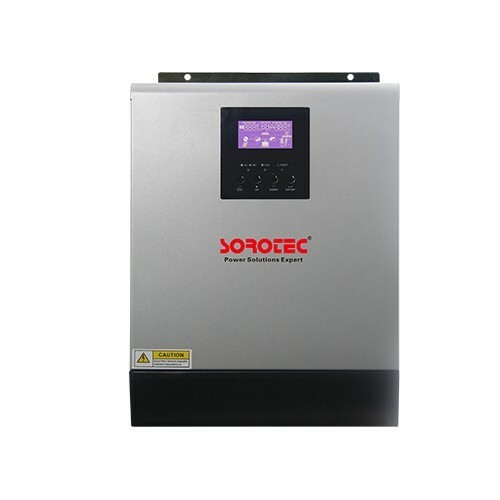 Above is the advantages of solar inverter, the biggest advantage is that you can use in many fields, not only for the families, are more of the army, the post and telecommunications are can be used, and also played a big role. Many customer advisory technical personnel about solar inverter power, will usually ask how much power is enough to use?. But here we need to make different judgments about different needs. First of all, you need to know that your system is grid connected or off grid. If it is grid connected, then the power of solar inverter system only needs to be slightly larger than the connected solar power component; if it is off grid, then the power of solar inverter system need to decide according to the load. Secondly, after the judgment of your system, we need to figer out your total load power and composition (here for off grid system, grid connected system only need to know the total solar power). For the general load, can meet the use when just larger than the load power; if the load is inductive, such as refrigerators, televisions, air conditioning, you need to consider the starting power. Due to the inductive load is usually 3-4 times current at startup, then inverter power must to meet the maximum power, otherwise it can’t start load, therefore the inverter power need to be 3-4 times of the total load power. Finally, consider the efficiency. General formal manufacturers logo will show the efficiency, the solar off grid inverter efficiency is about 60-90%, the higher the efficiency is, the higher the energy utilization ratio is, of course, the more expensive price. 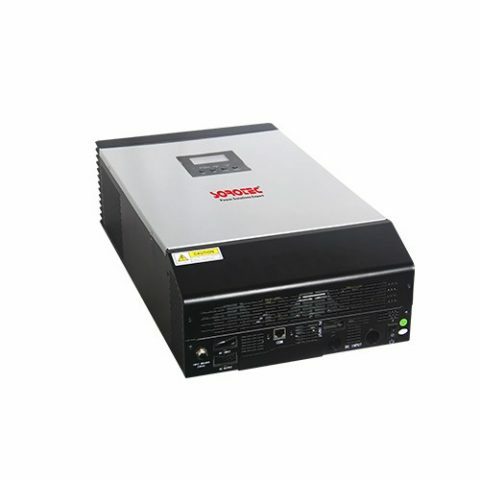 There is a particular point needs to pay attention to, generally the power which inverter manufacturers said is the visual power, such as they say 1KW is actually 1KVA which equivalent to 800W, the user must be aware of this when buying.